THIS SITE IS UNDER MAJOR CONSTRUCTION. SO PLEASE VISIT AGAIN. 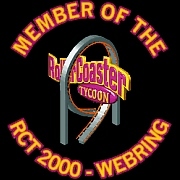 This RCT 2000 site owned by Chastin.